BOB LLOYD is a respected authority on policies and practices affecting the award, administration and oversight of federal grants, contracts and subawards. Mr. Lloyd has nearly 40 years of experience in federal award implementation. 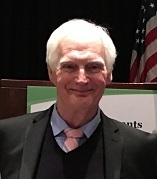 Prior to starting his management consulting practice in Washington, D.C., in 1982, he served as the executive director of the Grants Management Advisory Service and held staff positions in two large federally funded organizations. 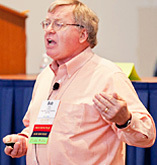 Since then, he has been a consultant, trainer or advisor to award and audit units in sixteen federal award-making departments and agencies, and to recipient and subrecipient organizations and their professional advisors located in all 50 states, the District of Columbia, several U.S. territories and 18 foreign countries. He is the principal author of A Guide to OMB Grant Reform and several other reference works on federal grants management and audits, and currently serves as contributing editor to Federal Grants News, published by Thompson Grants. He also is a Charter Life Member of the National Grants Management Association and served on its Board of Directors for five years. Bob Cates is CEO of Bob Cates & Associates LLC, a firm that assists colleges, states and local governments, Indian Tribes, nonprofit organizations and Federal agencies in administering, operating and managing federally funded programs. Bob has served in the South Carolina Governor’s Office and the private sector for over 35 years. He has actual experience administrating federal grant programs from three perspectives: Management serving as Director/CEO; serving as CFO/Deputy Financial Operations; and lastly serving as Administrative Services Manager, responsible for Business Management Systems. Bob’s career has been unique in that as a practitioner, he has actual work experience in three roles: as a Grantor, grant-making agency; as a pass-through entity (PTE); and as a Subrecipient of grant funds. As a result, his knowledge and experience has been built from these three different perspectives. His professional experience includes the design and implementation of organizational structures, developing policies, procedures, and systems to ensure federal compliance.